LG is finally releasing a G-series phone with the latest Snapdragon - yay! 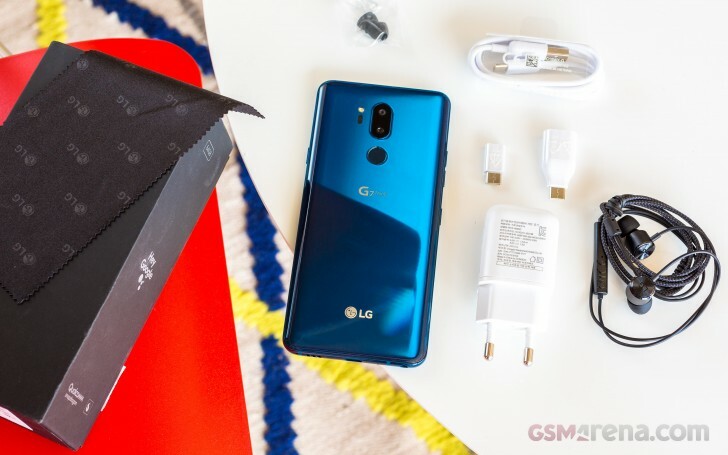 Regardless whether we have some supply chain optimization or LG's product planning to thank, the fact of the matter is the G7 ThinQ is now available internationally and it's a proper high-end device. True, the G7 is a trend-follower this time around rather than a trend-setter. But LG didn't feel the need to experiment with this one and are going the Vseries route by delivering a device with just looks and features mix which is trendy these days. The highlights of the G7 are the notched 6.1" FullVision display with 19.5:9 aspect and bright RGBW matrix, and the latest Snapdragon 845 SoC, of course. LG is keeping the regular+wide dual-camera, which we are fans of, but brings a new selfie snapper. The season's buzzword is AI and in LG's universe that translates to ThinQ. The futuristic name is here to stay, though, we're hardly fans. This all started with the LG V30S ThinQ, which was an updated version of the V30 bringing AI camera features. It also aligns LG's ThinQ appliance branding with the mobile lineup. But let's agree to call this flagship the LG G7 and spare all of us the headache. One thing we always liked in the LG headliners is the shock resistance that comes in addition to the water-proofing. And the G7 is MIL-STD-810G compliant for shock endurance, just like previous G and V models, but we'll get to that in a bit. First, here's a primer on the LG G7 key specs. Camera: 16MP (f/1.6) primary camera with OIS, Phase detection + Laser autofocus; secondary wide camera with 107-degree FOV, no OIS, fixed focus; Max 2160p @ 60fps video recording for both. Selfie cam: 8MP, 90-degree FOV; 1080p @ 30fps recording. Memory: 6GB of RAM; 128GB storage; microSD slot. Battery: 3,000mAH Lithium Polymer (sealed); Quick Charge 3.0 fast charging; WPC&PMA Wireless charging; Qnovo battery tech. Yes, LG went all-in with the trends and that meant a notch cut-out for the camera/sensor/speaker cluster. Ironically enough, just a month before announcement, LG went to Reddit to ask the users of the /r/Android subreddit what it thought about the whole notch business. 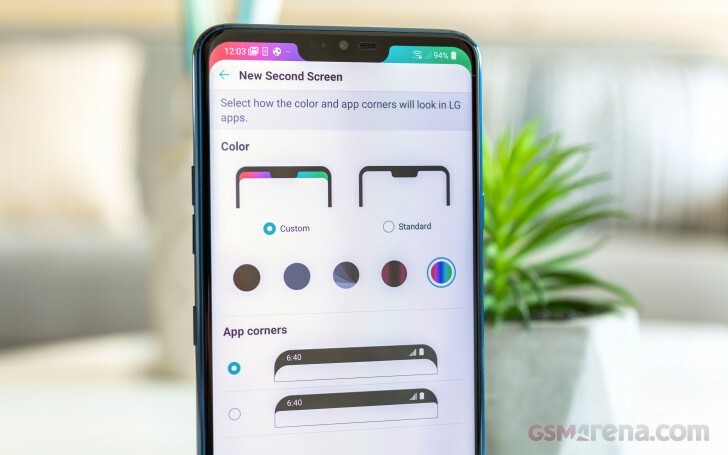 Needless to say, many opinions were expressed against the controversial notch, only for LG to release the notched phone anyway. LG's G7 has the same dual-camera setup from previous G flagships: a super-wide and regular camera. This time around, the two cameras are calibrated to support portrait mode shots. We are glad that LG kept the ultra-wide camera as it differentiates LG's phones from other smartphone makers. They've also borrowed the powerful video recording features that debuted on the V30, so it's a well-stocked camera setup. Another thing that sets LG apart from other OEMs is the headphone jack with Quad DAC, which is targeted at audiophiles. But are a wide camera and Quad DAC going to be enough to make the LG G7 ThinQ a desirable smartphone among other contenders? We're not sure just yet, so let's find out together. The LG G7's paper box contains a fast charger and a USB Type-C cable. You are also getting two USB adapters - A-to-C and micro-to-C for all kinds of purposes. There is a handy cleaning cloth, too. Depending on the market some G7 bundles will also include a tangle-free in-ear headphones. The Korean boxes have those, but for other markets you'll have to check with your local LG website. iPhone has better camera than all android phone.